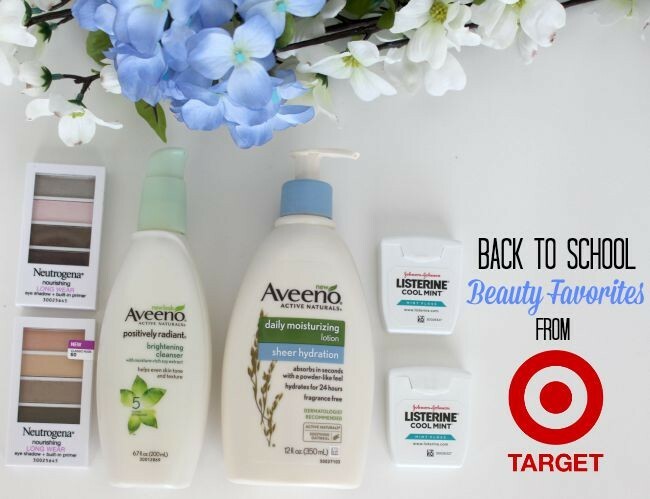 Back to School Beauty Favorites, Plus a $100 Target Gift Card Giveaway! When it comes to saving money and coupon clipping, the whole process doesn’t go well for me. I have tried it. I have failed at it. I have sworn I’ll never do it again. The next thing you know I try picking it back up, only to never save as much money as I had hoped and I walk in the door with items I don’t need. Every.single.time. I also have certain stores I love, as I’m sure you do too. I want them to be enjoyable to be in. Have everything I need, aka a one stop shop kind of place. Plus, I would like to save money the easiest way possible. 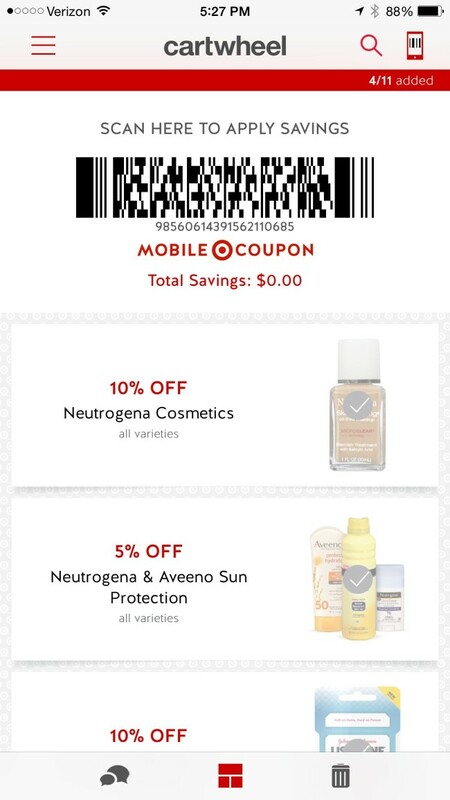 The day Target’s Cartwheel App entered my life was a very, very good day. I’ve had friends ask me if I really save money using it. After I pick my jaw up off the floor (kidding, I’m not that dramatic), I tell them it’s the bestest thing ever. 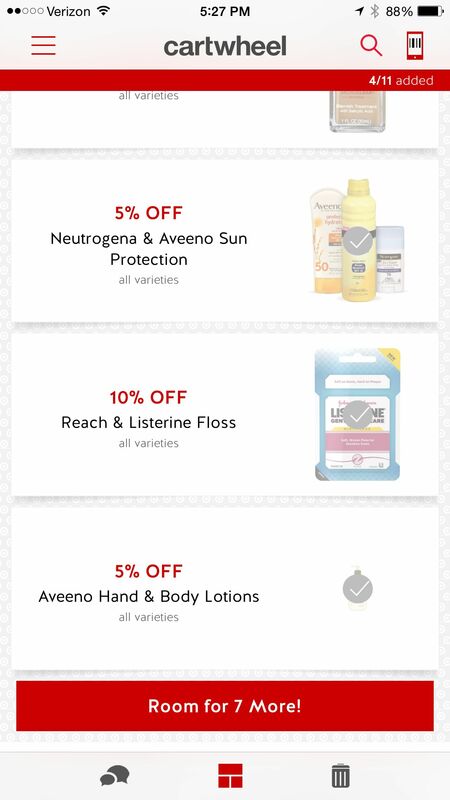 With back to school shopping in full force, Target’s Cartwheel App has some fantastic savings. 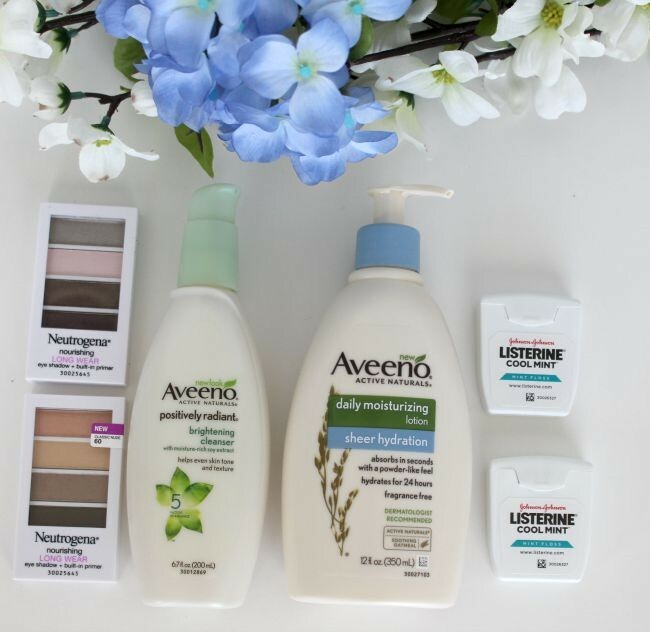 My daughter and I hit up the beauty savings first and were able to purchase some of our favorite brands at a discount, including AVEENO®, NEUTROGENA® and LISTERINE® products. 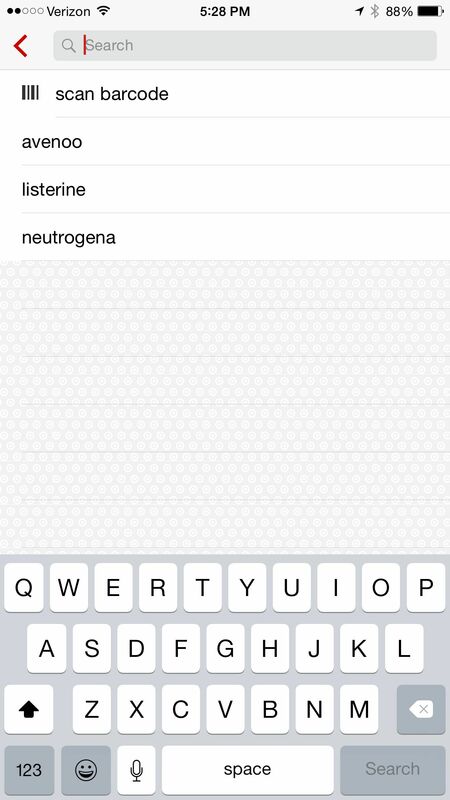 There were a few products I knew I wanted/needed to purchase, so I searched for the brand name on the app. I found the offers and added them to My Offers on the app. There were savings from 5% to 40%. Some other ways to search for offers is to click on My Cartwheel and the For You offers. I found some hidden gems in there and was able to purchase some items for meals at a very discounted price. 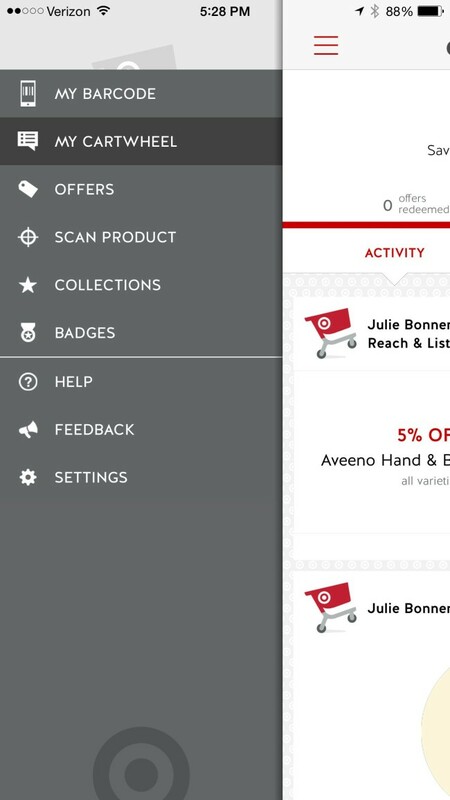 You can also click on Offers to see a list of all of Target’s coupons or scan the item’s barcode to see if any offers pop up for that particular item. At checkout, they scan your personalized barcode on your phone. You can use these discounts as many times as you would like until they expire. There’s no “only use on one item” limit, which is really nice when you’ve found a good deal and you want to stock up. 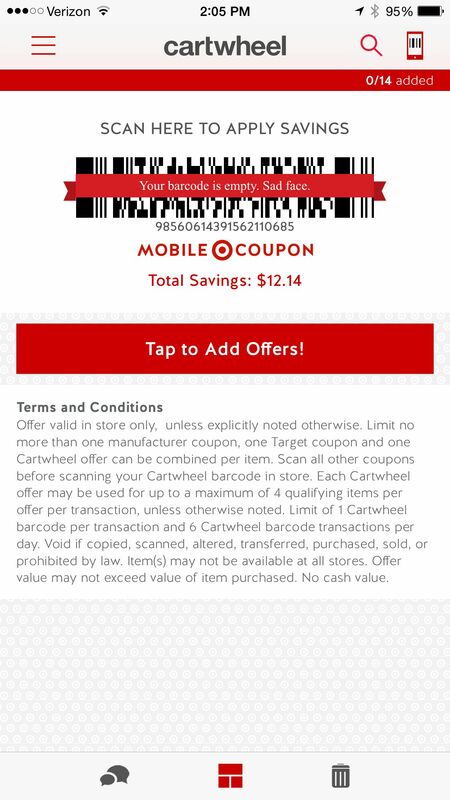 I saved a total of $12.14 using Target’s Cartwheel App, plus I used my Target Red Card for another 5% off. I purchased two of the LISTERINE® COOL MINT™ Floss. I had a dentist appointment a couple of weeks ago and when they asked the question I knew was coming “do you floss?”, I had to bow my head in shame and say “No”. I promised my dentist I would floss and I have been. I love the Listerine floss, which removes up to 61% more plaque than with Glide® Mint Floss. It leaves you with a fresh feeling in your mouth and I know I’m reaching plaque that brushing simply can’t reach. I’m going to kill it at my next dentist appointment! I also purchased AVEENO® Daily Moisturizing Sheer Hydration Lotion. My daughter was excited about this purchase since she’s been wanting to try Aveeno lotion for quite some time. It’s a naturally hydrating lotion, formulated with ACTIVE NATURALS® Colloidal Oatmeal. It goes on feather-light to replenish and hydrate skin for 24 hours for velvety soft, beautiful, healthy looking skin. I do not enjoy heavy lotions in any season and this is the perfect weight for what I need. My daughter is using the brightening cleanser and we both snagged one of the NEUTROGENA® Nourishing Long Wear Eye Shadow + Built-In Primer. The eye shadow lasts up to 12 hours and the built-in primer keeps it from creasing. It’s formulated with vitamins and conditioners for the delicate eye area skin. Not to mention the color choices were absolutely beautiful! Would you like to try Target’s Cartwheel App for yourself and save some money?! Enter to win a $100 Target e-gift card so you can pick up some back to school beauty essentials for yourself (or your kids).